There is not a more well-deserved trophy than that of Travis Adams. Travis spent the first part of the spring season joining his best friend Steve Nichols complete his goal of harvesting a coastal brown bear. Once they fulfilled Steve’s quest it was Travis’ turn. 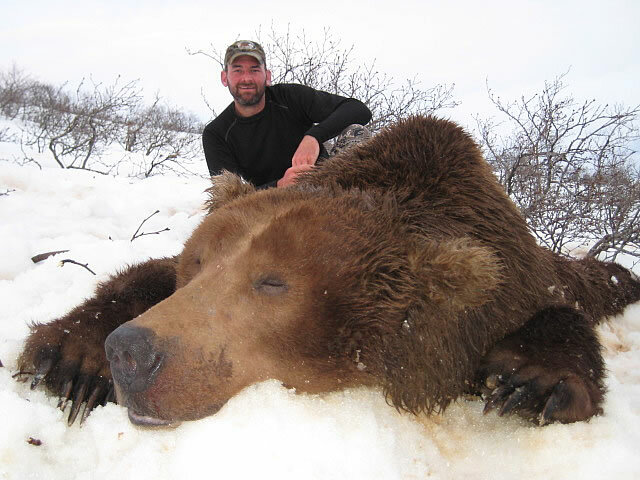 Between Steve’s hunt and his own, Travis spent the entire spring season in the field and finally harvested his 10 foot bear the last day of the season. Our state land camps produce some exceptional brown bear.